Three crucial forces that have been almost equally responsible for shaping humancivilization so far. Yet, the politics of empire has dominated history and populardiscussion. Irrespective of the political upheavals, however, India has always been anopen market-welcoming traders from faroff lands, promising them a fair bargain. Indian entrepreneurs since ages had developed their own sophisticated institutions andwide communitybased networks. This open, liberal and robust bazaar economy thrived unhindered till the advent of European trading companies, who brought withthem the notions of monopoly and state controls. Business in India blossomed in tunewith liberal religious thought and Indian intellectual tradition always fostered the spirit ofquestioning. 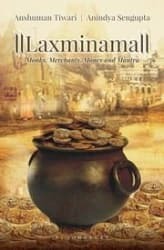 Laxminana is an account of how the country s open market and its liberal religiousoutlook have nurtured each other throughout the centuries. Told through a medley ofstories, this is the saga of India s socioeconomic power that has characterized not onlythe country s vibrant pluralistic society but also much of global history. An untoldnarrative of India s geographies, products and pioneers this is an unforgettable albumof heroes, who championed game-changing ideas at the intersection of faith andenterprise. Anshuman Tiwari is the editor of India Today, Hindi. A recipient of the prestigiousRamnath Goenka Award and WAN-IFRA International Award for investigative journalism,he is an acclaimed journalist credited with over 2,000 columns in Hindi and Englishacross various media publications. 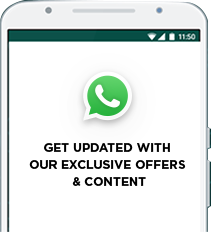 Tiwari has worked with major media brands such as Dainik Jagran, Dainik Bhaskarand Amar Ujala in various editorial capacities. A Chevening Fellow, he has authoredseveral research papers and is the author of Arthaat, a collection of his economicwritings in Hindi. He also has a blog by the same name. Anindya Sengupta is a civil servant based in New Delhi. A student of history fromPresidency College, Kolkata, he is interested in history and geography in equalmeasures and loves to travel in search of stories, unknown and long forgotten.